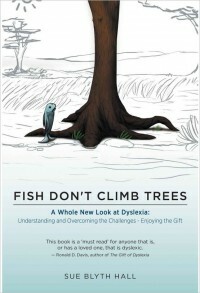 Davis Facilitator Sue Hall has written a new book: Fish Don’t Climb Trees: A Whole New Look at Dyslexia. 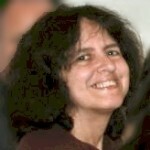 Sue understands dyslexia from the inside out – as a dyslexic person with vivid recollections of frustrations experienced in elementary school, as a parent who searched for and found a solution to enable a once-struggling child to learn become a reader, as a talented Davis facilitator with fifteen years of hands-on experience working with children and adults, and as the founder of a Canadian charity aimed at building understanding and raising funds to help dyslexic students. Sue has written an insightful and informative book that strikes a perfect balance among autobiographical tidbits, illustrative stories, and direct practical advice and suggestions for recognizing and overcoming problems at school and in life. Sue’s charm and whimsical sense of humor make her book an enjoyable read throughout, with a heartfelt depth borne of her own life experiences and boundless compassion for others. Sue’s keen insight will be a boon for parents and teachers alike, whether they are new to learning about dyslexia or in search of a deeper understanding of the dyslexic way of thinking. 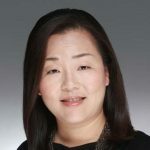 Sounds like a well-versed insight on dyslexia that benefits highly from a personalized perspective. Will have to check it out. « Check out the Codpast!